Say hello to Owly, a cute little fellow who lives in your Mac’s menu bar and does its best to prevent your Mac from automatically sleeping. 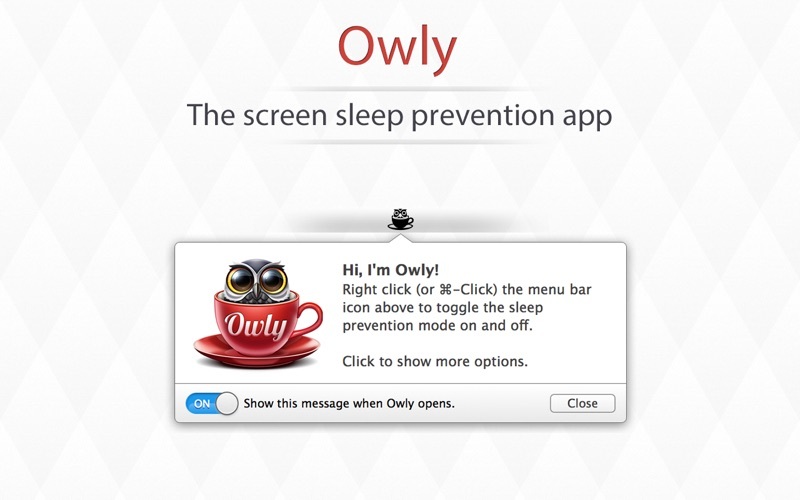 What this means is that Owly ensures your Mac’s screen never goes dim, no screen savers appear and that your Mac doesn’t enter sleep mode. By right clicking the Owly icon on the menubar, the app can toggle on/off. When the icon is red, Owly is active and will keep your Mac wide awake. When the icon is black, the app is no longer actively ensuring your Mac doesn’t enter sleep. Owly is useful for when you want to keep certain information showing on your screen whilst whilst you may not be using the keyboard/mouse actively.